The PHS Philadelphia International Flower Show received nine international awards for excellence for the 2012 presentation, “Hawaii: Islands of Aloha,” at ceremonies held September 21 in Denver, CO. The Flower Show, which benefits the year-round programs of the Pennsylvania Horticultural Society (including City Harvest), was honored in a variety of programming and promotional categories. The prizes for PHS included a Gold Award for its sponsorship program with SugarHouse Casino, which included the creation of the new Flower Show feature. A Gold Award was also presented in the merchandise category for the Flower Show garden bag, a beautiful carrying case for gardener’s tools. Best Single New Sponsorship Program: The Man Cave sponsored by SugarHouse Casino won gold. Best new merchandise: Flower Show Garden Bag won gold. Best full-length TV promotion: 6abc Preview Party show won silver. Best event video: Flower Show retail video won silver. Best miscellaneous video: Promotional “Hawaii” video won silver. Most creative/effective news stunt: Window and Lobby Decorating Contest won silver. Best vendor/supplier: Waldor Orchids won silver. Best volunteer program: Competitive Classes and Horticour won bronze. Best new promotion: Hawaii Village won bronze. The professional competition draws entries from around the world. This year’s entrants included the Indianapolis 500 Festival; Pro Football Hall of Fame Enshrinement Festival in Canton, OH; Kentucky Derby Festival in Louisville, KY; National Cherry Blossom Festival in Washington, D.C.; Showtime Events in New Delhi, India; Gimje Horizon Festival in South Korea; World Gourmet Summit in Singapore; Rotterdam Festival in The Netherlands; and the Beethoven Easter Festival in Krakow, Poland. The entries included programs, merchandise, print and broadcast ads and media campaigns, posters, and many other categories. The PHS Flower Show is America’s premier horticultural event, providing inspirational and informative displays, educational presentations, and entertainment. The 2012 Flower Show attracted 270,000 visitors from around the world. The 2013 Flower Show, “Brilliant!”, will glow with the majestic beauty and creative genius of Great Britain’s gardens and landscapes, culminating in the urbane design of 21st-century London. The show will take visitors from royal settings to the Mad Hatter’s Tea Party, from rolling hillsides to foggy streetscapes, from sunny cottage gardens to the dark alleys of Jack the Ripper. 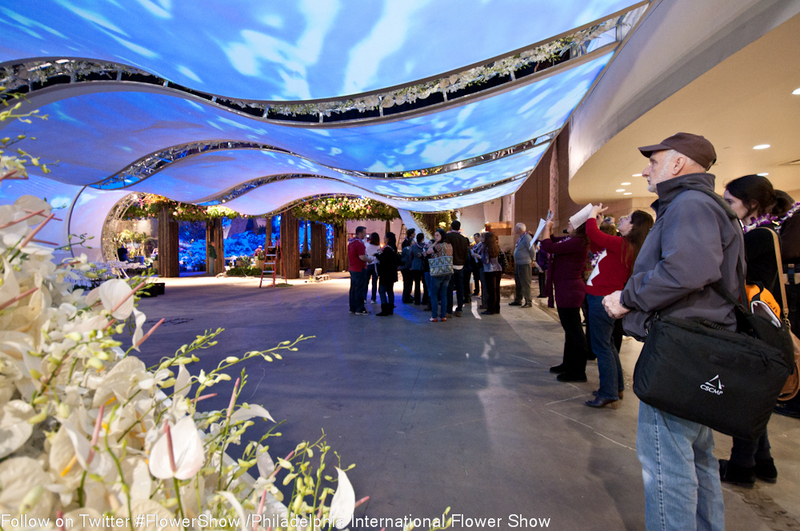 The show will open a day earlier than ever before and run from March 2 to 10, 2013–two full weekends to enjoy the spectacular landscape and floral exhibits, make-and-take workshops, new plant showcase, and other new features. For ticket information, please visit theflowershow.com. This entry was posted on October 2, 2012 at 9:00 am and is filed under Uncategorized. You can follow any responses to this entry through the RSS 2.0 feed. You can leave a response, or trackback from your own site.